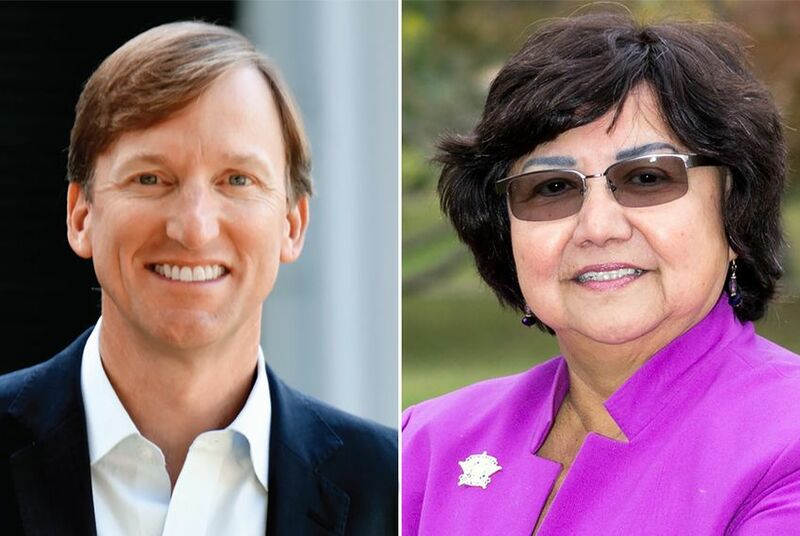 Democratic gubernatorial candidate Andrew White raised over $200,000 during the first three weeks of his campaign, while one of his better-known primary opponents, Lupe Valdez, took in a quarter of that over roughly the same period. Democratic gubernatorial candidate Andrew White raised over $200,000 during the first three weeks of his campaign while one of his better-known primary opponents, Lupe Valdez, took in a quarter of that over roughly the same period. White's campaign told The Texas Tribune on Monday that he raised $219,277 from 200-plus donors through the end of the fundraising period on Dec. 31. The total haul includes $40,000 from White, a Houston businessman and the son of late Gov. Mark White. Andrew White announced his bid on Dec. 7. Valdez and White are two of the more prominent Democratic gubernatorial candidates, a field that totals nine. Their fundraising numbers pale in comparison to those for GOP Gov. Greg Abbott, whose campaign announced last week he has built a record-breaking $43.3 million war chest after raising over $9 million during the second half of 2017. White, who entered the new year with about $104,000 in the bank, said his campaign is "just getting started." "While I’m happy to raise a substantial sum in such a short amount of time, I’m even more thrilled and humbled by the support from Texas teachers, medical professionals, business leaders, homemakers, veterans and community leaders," White said in a statement. "These supporters believe, like I do, that Texas can do better." Valdez, the former Dallas County sheriff who announced for governor the day before White did in early December, took in $46,498 through the end of that month, according to a filing Sunday with the Texas Ethics Commission. She has $40,346.62 cash on hand. The candidates have until Tuesday to disclose to the Texas Ethics Commission their campaign finances for the latter six months of last year.